Qualitas Lifespaces is a real estate development company, with a sharp focus on delivering High Quality Residential & Commercial space. Its focus on timely delivery, regulatory compliances and transparent dealings with all stake holders will be the key differentiators. The cornerstone of the Company was laid by its dynamic founder, Mr. Rajesh Shah. Fueled by his vision, guidance and ideas, the Company is moving in the right direction towards setting high standards & benchmarks for itself. Qualitas means Quality in Latin. 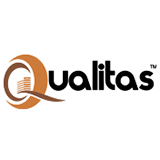 Brand Qualitas stands for delivering Value with Transparency. This will be achieved by offering High Quality products, Customer Service, which is among the best in the Industry. Transparent Processes, which leave no questions or surprises for a customer at any stage pre or post transaction.